I prepared this quinoa the same way that I make a risotto, but substituted the healthier grain and it came out just as delicious. This can also be made into a vegetarian recipe by substituting the chicken broth for vegetable broth and the stick of butter for one half cup of olive oil. 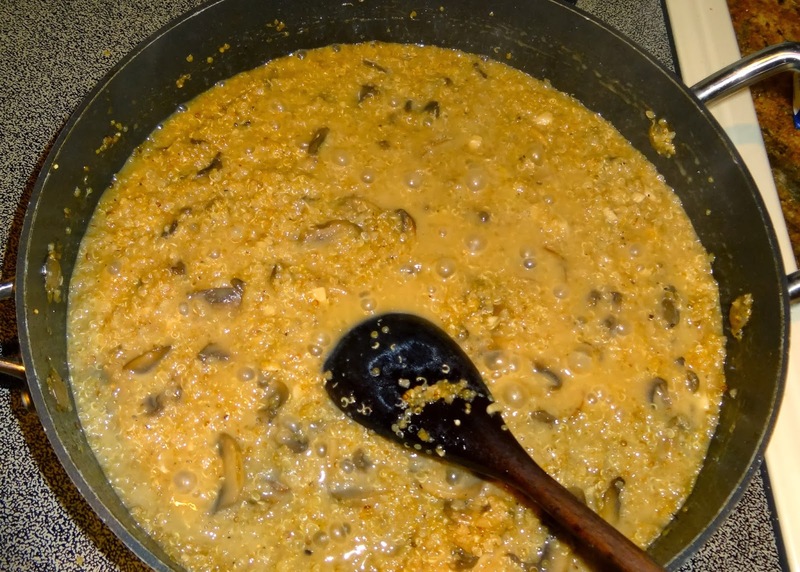 In a large sauté pan, over medium heat, cook the mushrooms and garlic in the butter for five minutes, stirring often. 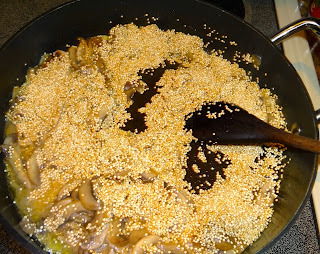 Add the dry quinoa, and continue cooking, stirring constantly for five more minutes. Add the wine and continue cooking until it is absorbed, stirring often. Add the brandy, and then the broth, one cup at a time until each is absorbed by the quinoa. 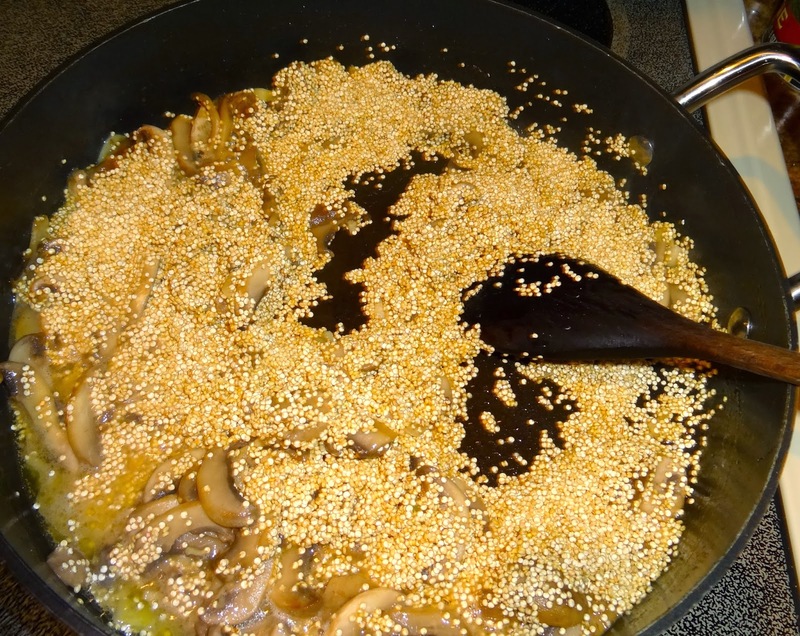 When the quinoa is completely cooked each grain will release a little sprout from the shell, or a “tail.” It can be tested it to see if it is tender, it may not need the entire four cans of broth. When the quinoa is tender and has absorbed as much broth as it can, remove it from the heat and add the pepper and parmesan cheese. Salt the quinoa to taste, and serve. Enjoy!